Stanishev was Prime Minister when Bulgaria joined the EU in 2007. He was also the leader of the Bulgarian Socialist Party (BSP) from 2001 to 2014, and has led the President of PES since 2011. No other Bulgarian has held such a high position in a European political family. But despite these credentials, he will not lead the BSP list at the European elections. On Sunday (17 March) Stanishev lost a secret vote to determine the list leader to journalist Elena Yoncheva, his former partner in the period when he was Prime Minister. 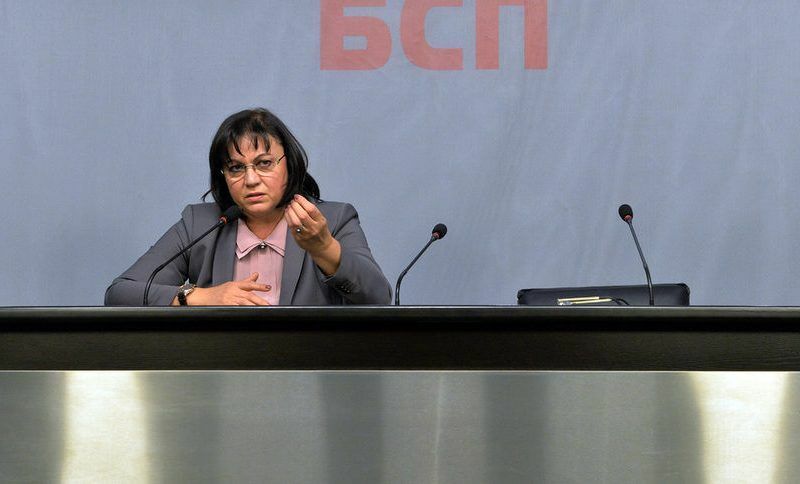 After four hours of debates the BSP National Council elected Yoncheva to lead the list with 95 votes, while Stanishev obtained 75. Yoncheva gained popularity as a journalist reporting from battlefields such as Afghanistan or Iraq. Lately, she became MP and exposed corruption involving politicians from the GERB party (EPP-affiliated) of Prime Minister Boyko Borissov. BSP has conducted consultations at grassroot level about nominating candidates for the European elections, as well as the preferences for the leader of the list. Yoncheva and Stanishev got the largest number of nominations at grassroots level. The manoeuvres have been aimed at depriving Stanishev of the top spot on the list, because he has an ideological conflict with the current BSP leader Kornelia Ninova. Ninova took over the BSP leadership in May 2016, when the party’s ratings had reached a historic low, for which Stanishev was largely responsible. On at least three dossiers, Ninova and Stanishev have clashed: the Istanbul Convention, (the Council of Europe’s Convention on the Prevention and Combatting Domestic Violence), the Global migration pact (the UN Global Compact for Safe, Orderly and Regular Migration), and attitudes toward Hungarian Prime Minister Viktor Orbán. Politicians from both GERB and BSP made no effort to explain the true nature of the Istanbul convention and the Global Pact for migration. Instead, populists and social media have conveyed the message that the Council of Europe convention will introduce the “third gender”, and that the UN convention will open the door to hundreds of millions of refugees into Europe. Ninova embraced these views, arguing that other countries were also distancing themselves from the convention and the pact. Ninova and the vast majority of Bulgarian socialists support Orbán, whom they admire for his capacity to withstand EU pressure, for protecting the national interest and for having good relations with Russia’s Vladimir Putin. At the 12 September vote in the European Parliament, Stanishev was the only Bulgarian socialist MEP who voted in favour of triggering Article 7 against Hungary. Last December, Ninova snubbed the PES forum in Lisbon due to ideological differences with Stanishev. After the vote, Stanishev reportedly asked that the decision should be taken about granting him the second place in the list, but his request was rejected. The full composition of the BSP list for the European elections will be decided on 6 April. Yoncheva said after the vote that she had not expected to be in competition with Stanishev, and that this had not been an easy experience for her. She also said that Stanishev had earned his second place in the BSP list. According to BSP politicians quoted by Dnevnik, Ninova has said that the presidents of other political families are not MEPs, appearing to refer to Stanishev’s opposite number, the leader of the EPP party Joseph Daul, who is not an MEP. Ninova’s statement has been interpreted as a signal that Stanishev may not appear in the European election list at all.